The Jesse James Hideaway (Cabin 1) is a nice comfortable cabin with a queen bed made with real Aspen Logs right here from Marysvale. 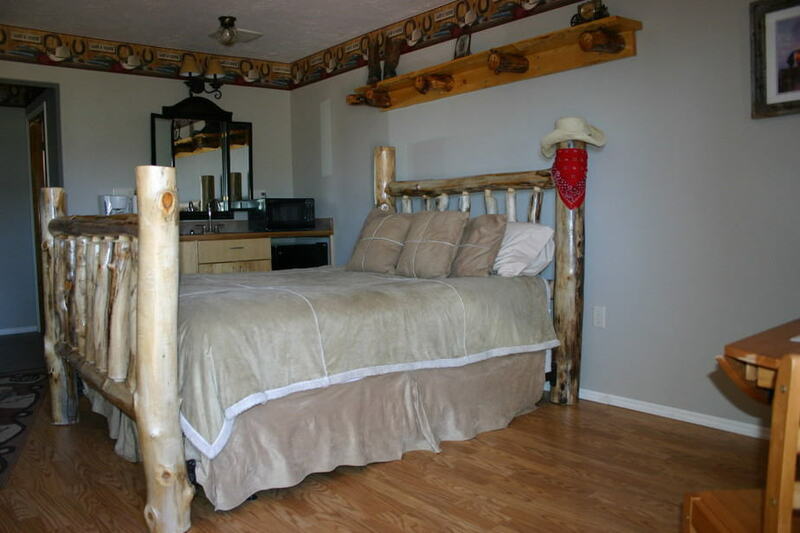 It is decorated in a western cowboy style. It has a full bath with a tub and shower. 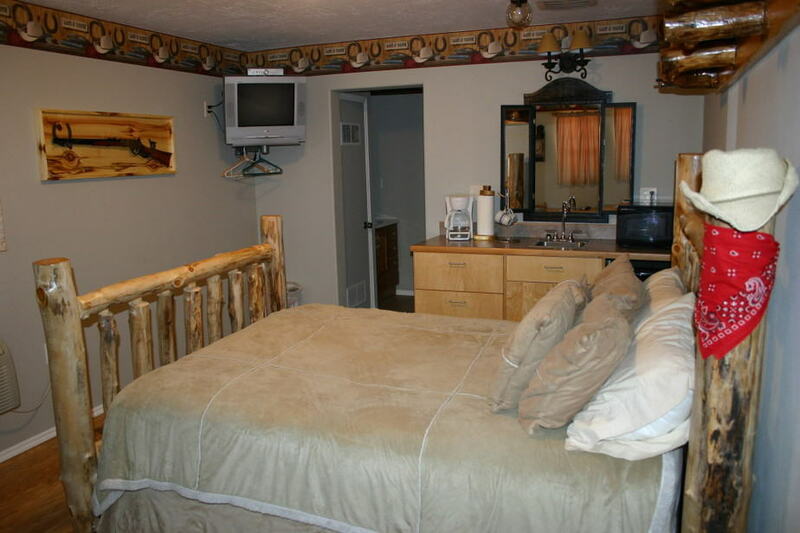 We provide fresh towels and linen as needed. It also has a mini fridge, microwave and coffee pot with coffee included. Ride the trails, and come back to your Air Conditioned cabin and watch your in room Direct TV. Cook your dinner just a few steps away in our covered pavilion that has a gas barbeque and huge gas griddle to use for breakfast. 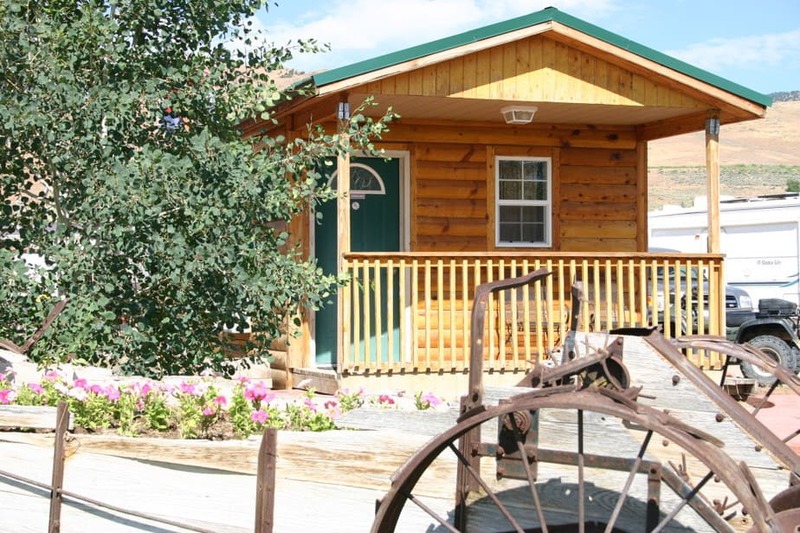 All Cabins are on a hill looking over the town of Marysvale with great views of the mountains. 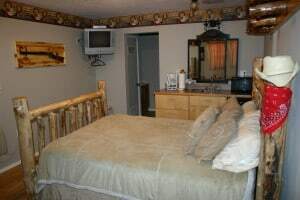 Room rates are for double occupancy only. 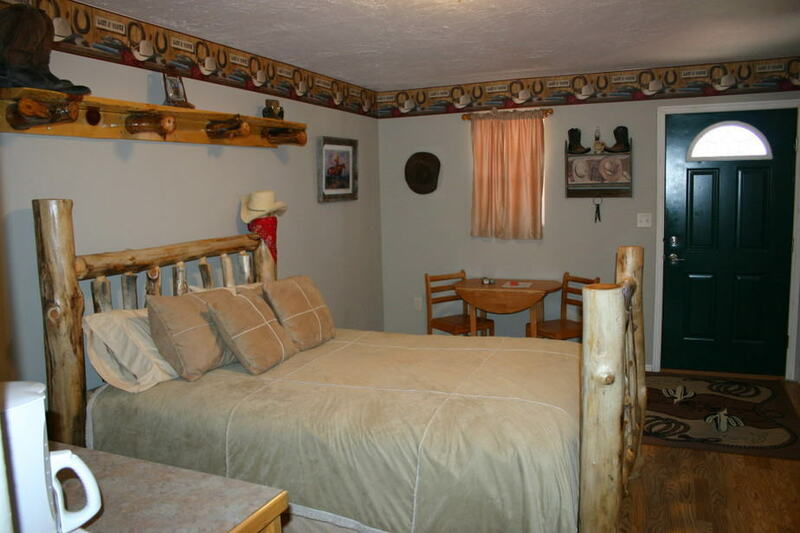 Rates are adjusted according to number of occupancy. 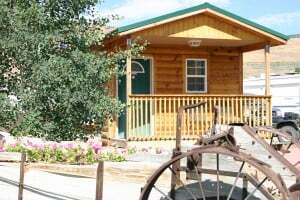 Book the Jesse James Cabin Now!